Heritage inn built in 1826. 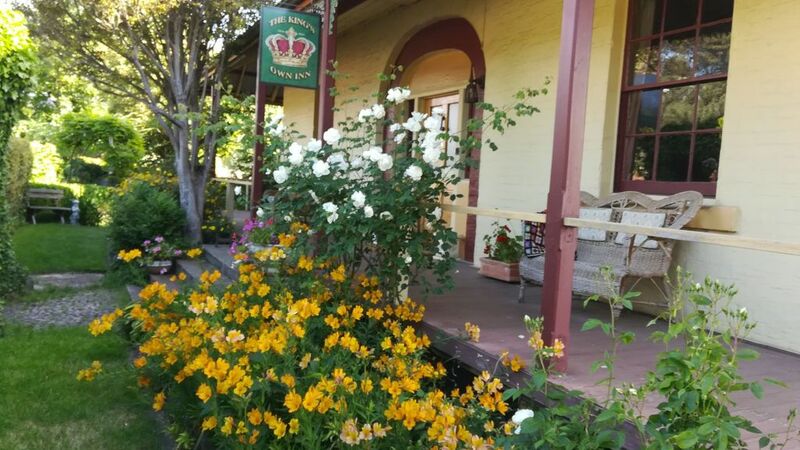 Bed and breakfast accommodation only one minute walk to main street with all shops and services. 30 minutes to Hobart by car or bus on corner of street. Your bedroom has ensuite and kitchenette. Your own entrance enables you to come and go whenever you want. Use of extensive garden, verandah and sitting room is welcome. Breakfast served in formal dining room at your desired time.5 minute walk to Agrarian Kitchen. 15 minutes to MONA. 10 minutes to Salmon Ponds. Close to Mt. Field national park and Russell Falls. 10 minutes to Stefano Lubiana winery. 45 minutes to Maydeena Bike Park. Walk to Derwent Esplanade. Great old historic house, great hosts.Nothing was too much trouble. Allison's collection of the quaint and historic fills the home with lots of interesting paraphenalia. She has thought of everything to make the stay comfortable and enjoyable.